There’s something undeniably romantic about New Year’s Eve — the romantic dinners, the champagne, the fireworks and the excitement and promise of a new year. 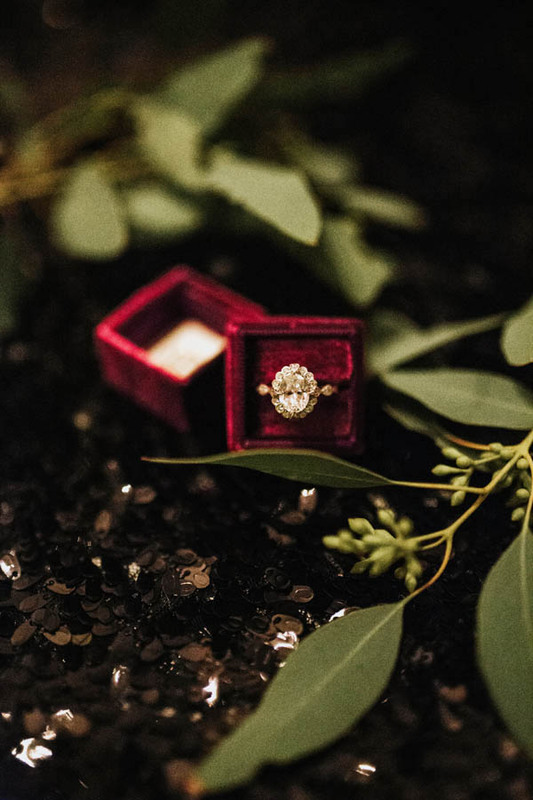 I definitely think there isn’t a better way to ring in the new year than with an engagement ring! 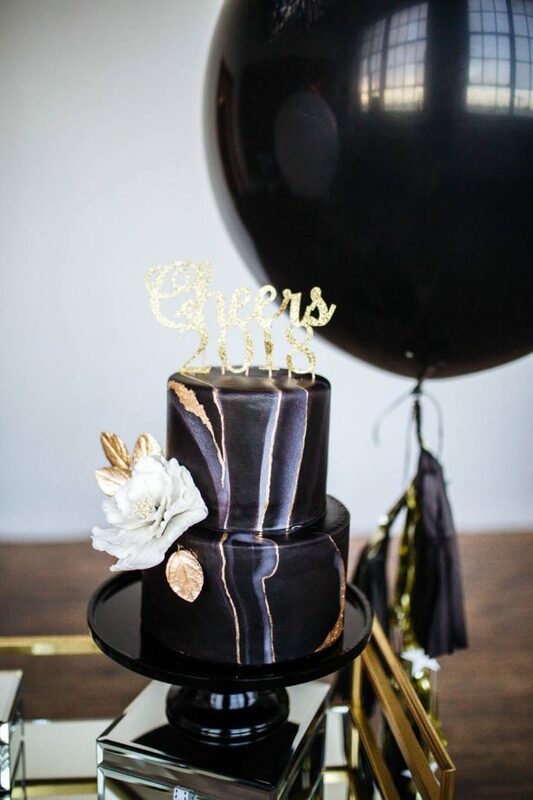 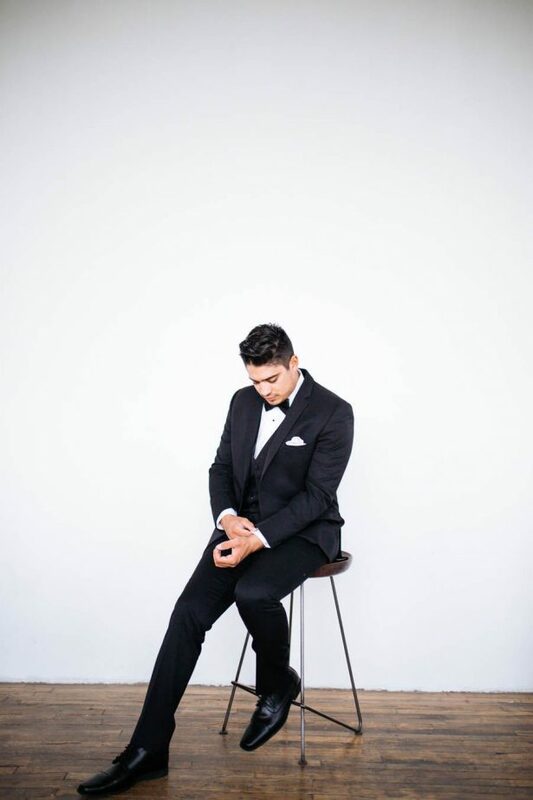 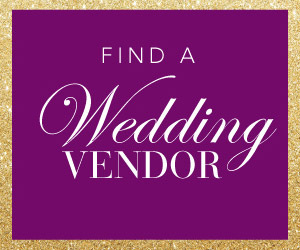 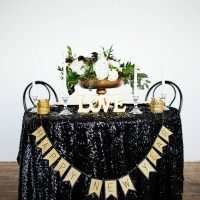 So, I got together with a talented group of vendors (all listed at the end of this post) to put together this fabulous NYE Party with a side of a romantic marriage proposal editorial shoot. 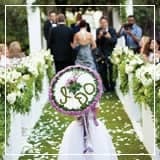 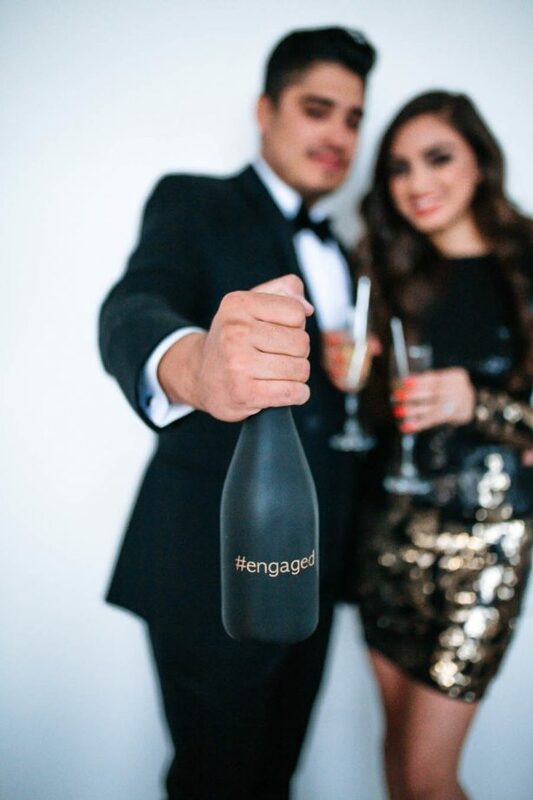 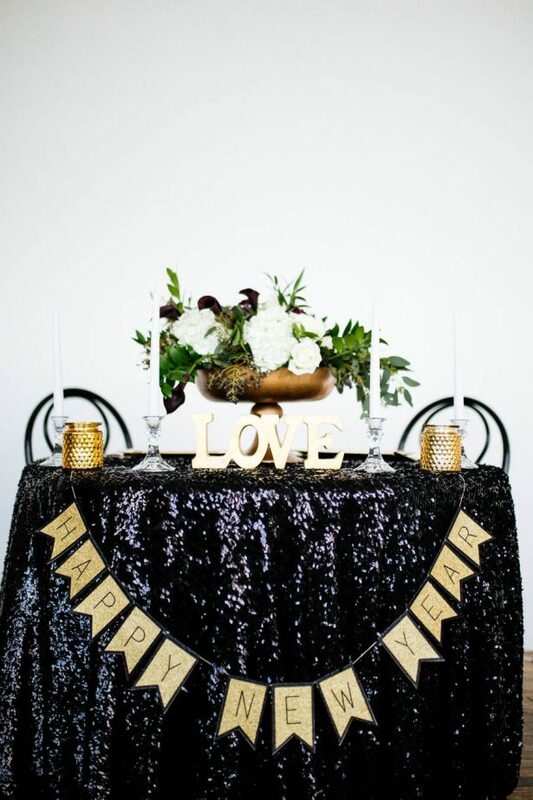 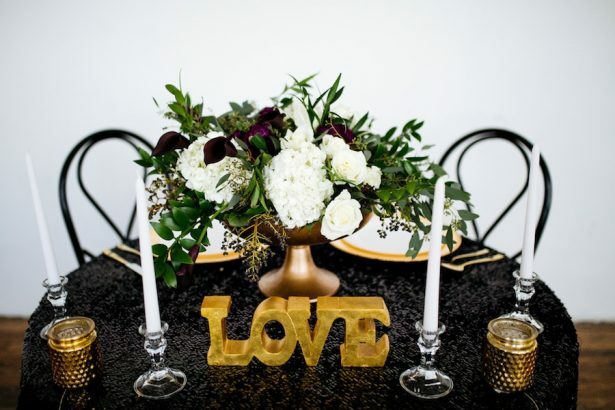 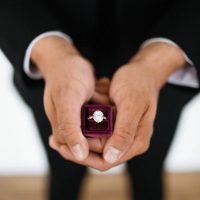 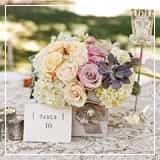 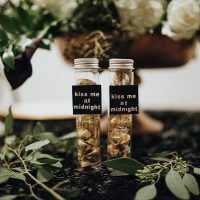 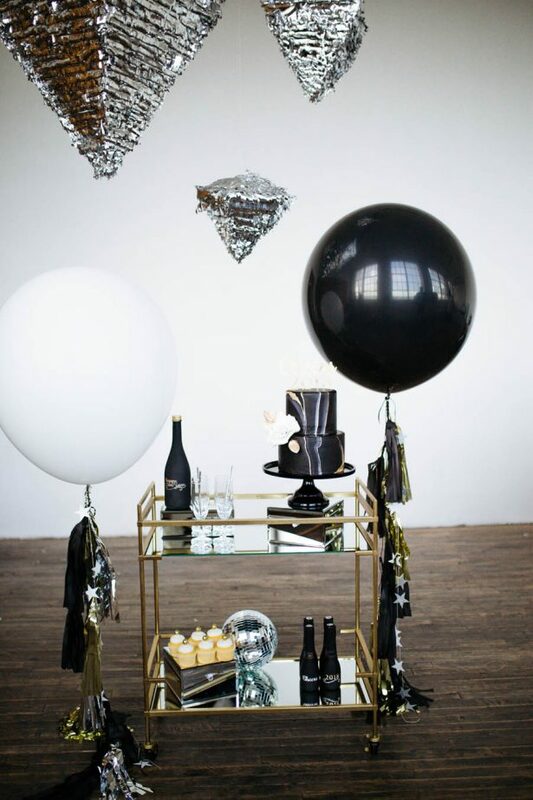 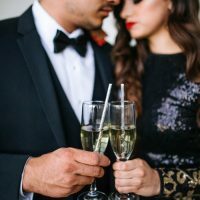 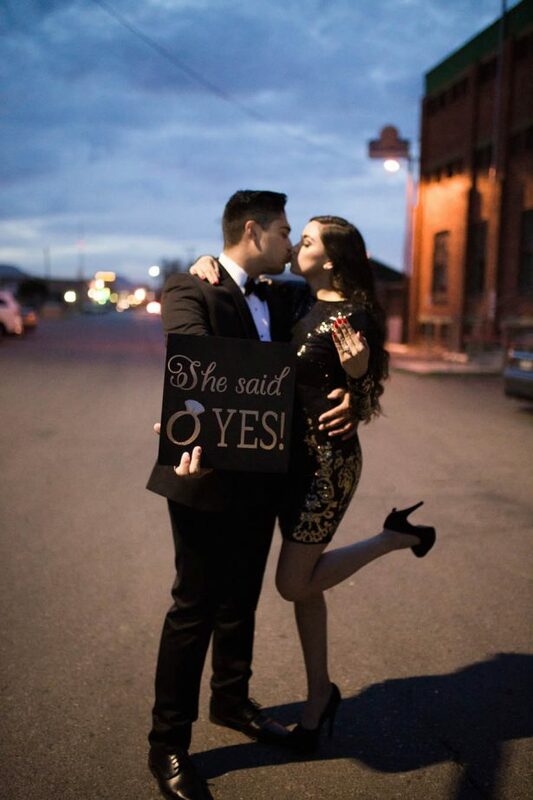 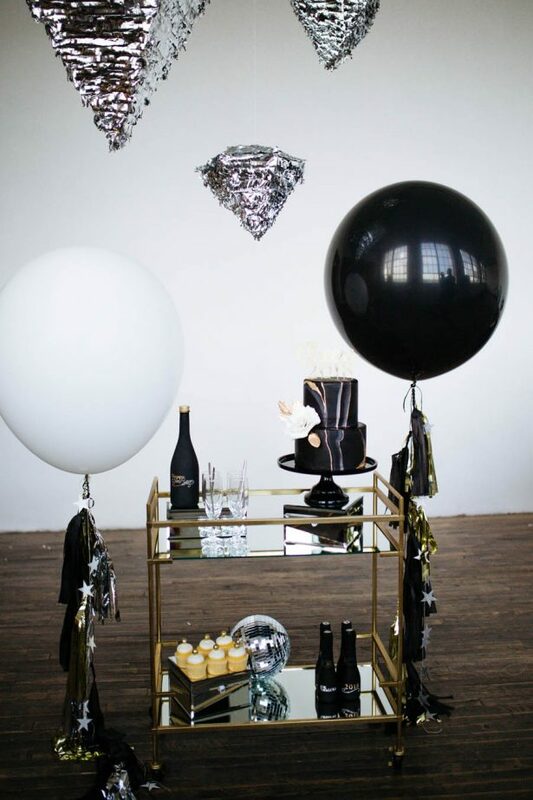 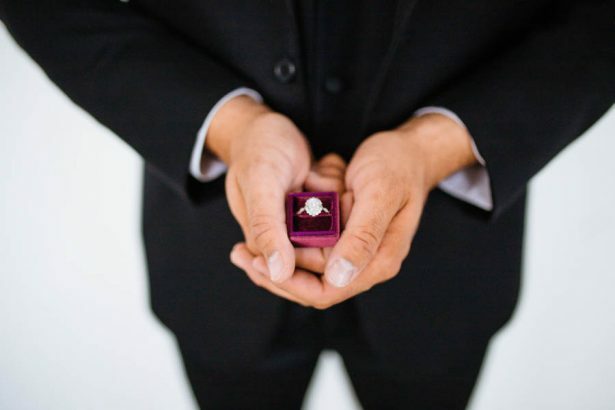 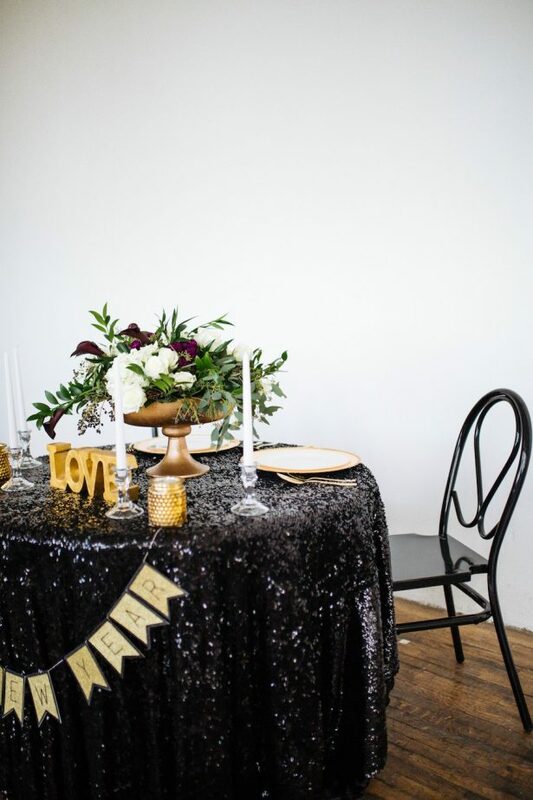 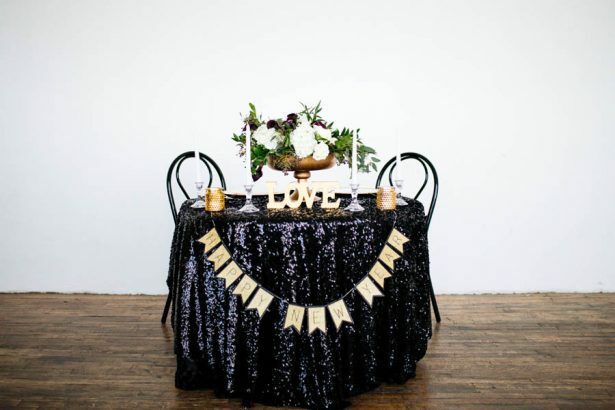 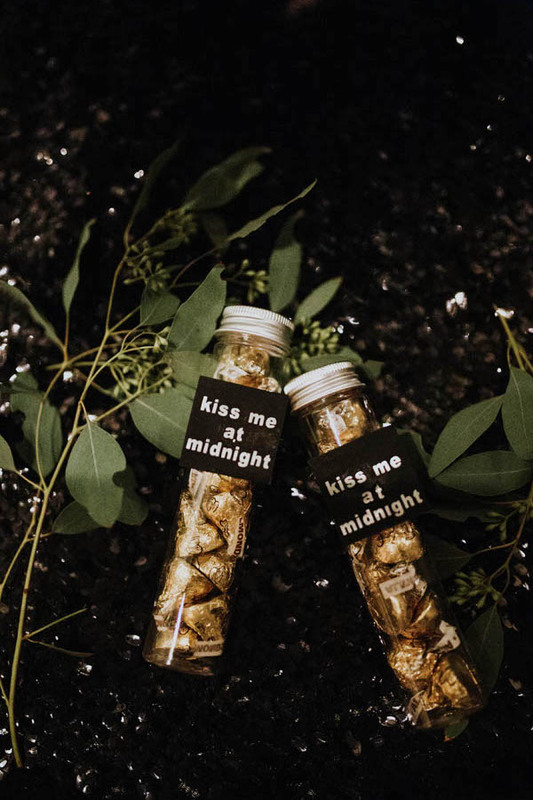 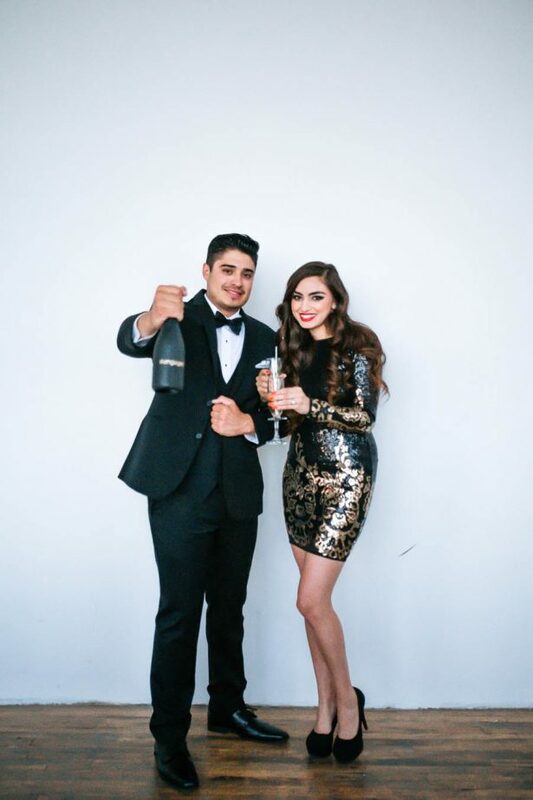 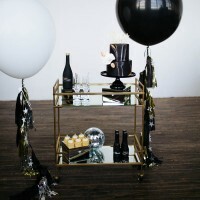 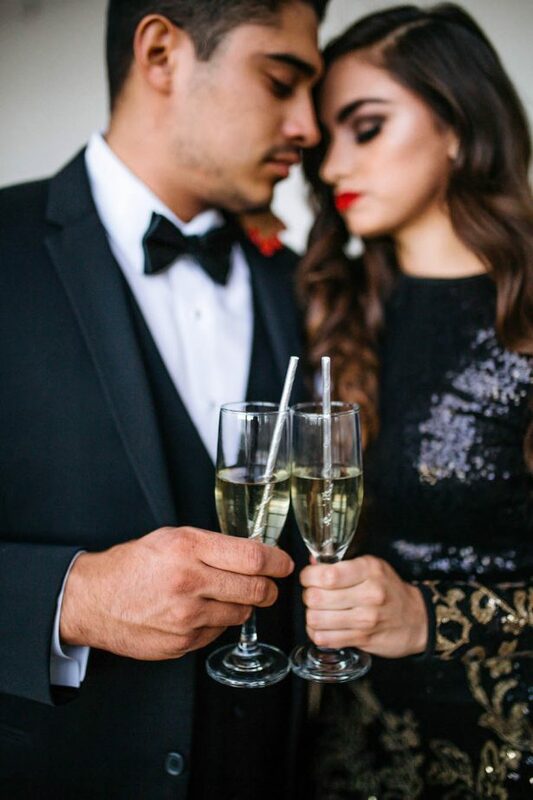 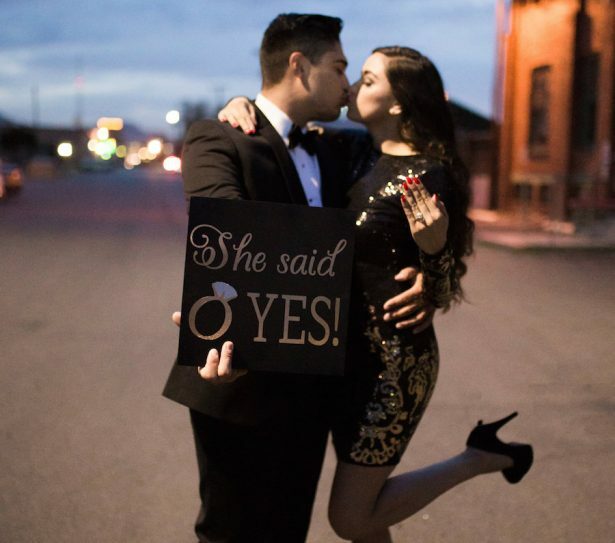 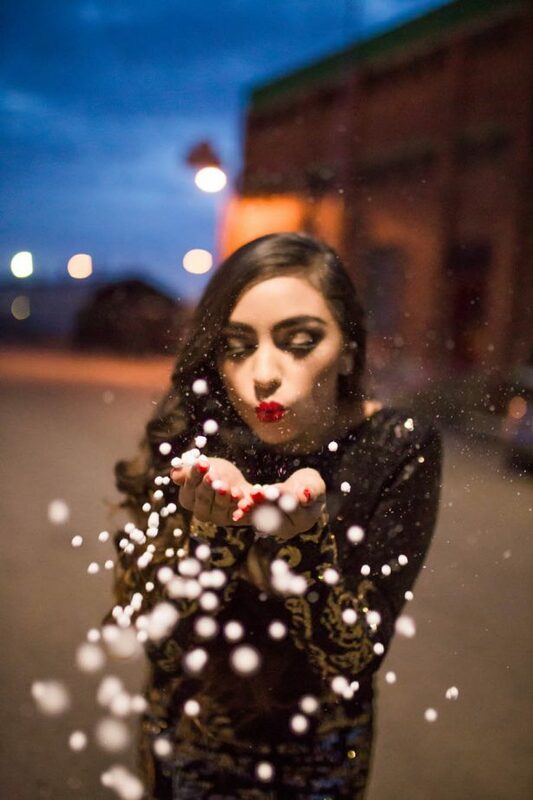 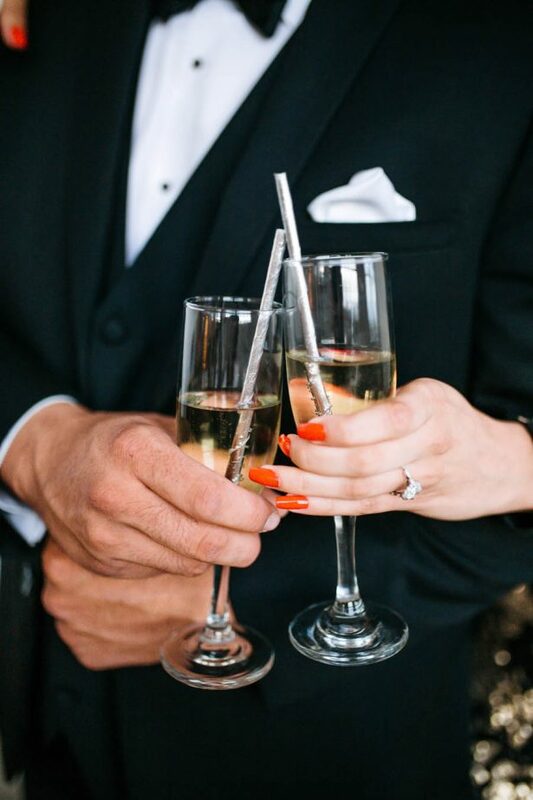 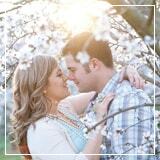 Filled with glamorous and fun DIY details this New Year’s Eve Proposal Inspiration will inspire you to turn your end of the year party into the most stylish of celebrations and will guide your guy on how to pop the question in style! 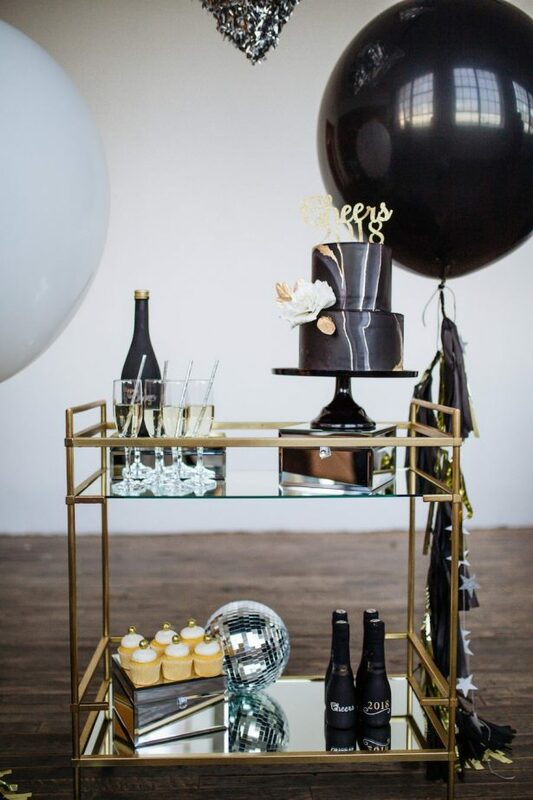 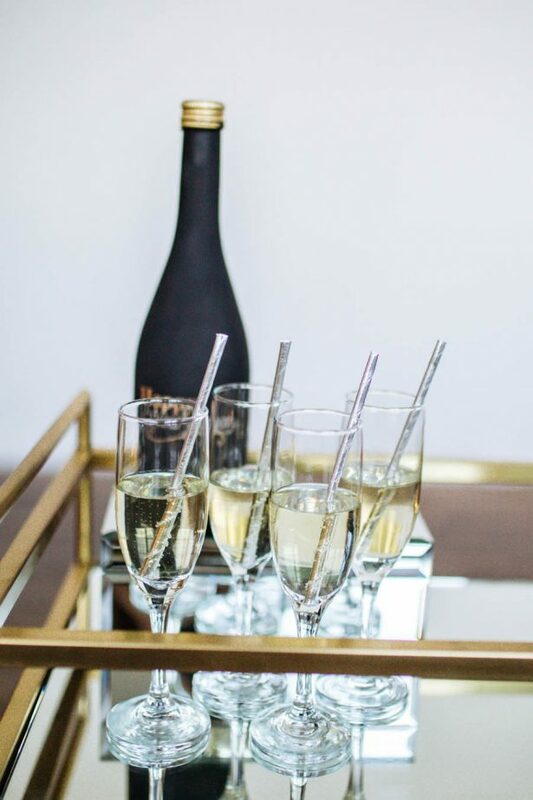 Modern, sophisticated and absolutely swoon-worthy — the champagne bar is my favorite vignette on this shoot. 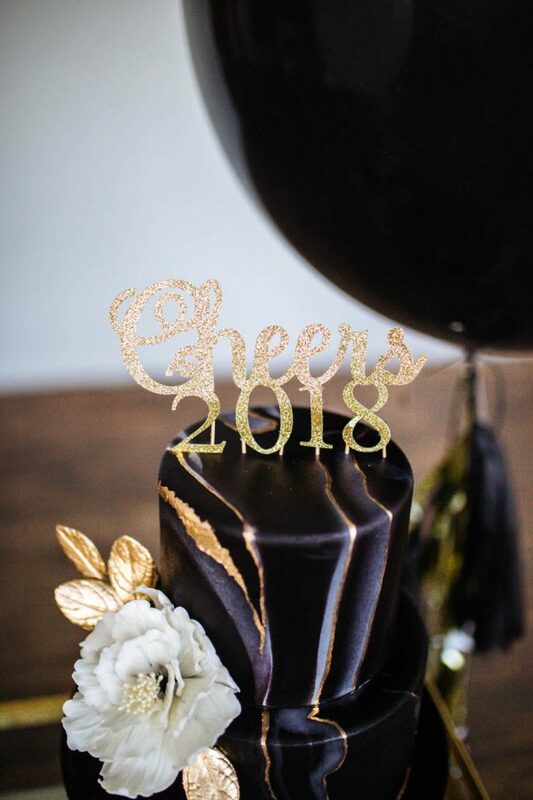 I handcrafted several of the details you see on the bar, from the cake topper to the bottle tags, and other details like the signs and banners. 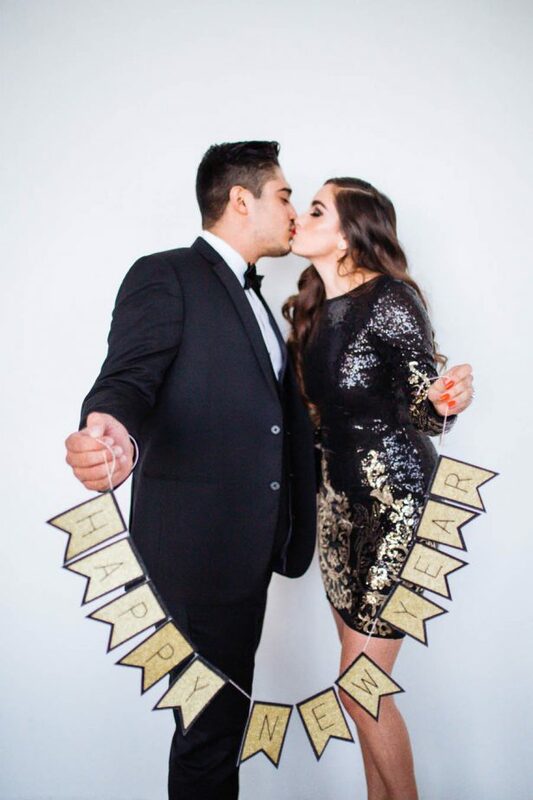 And the best part is that if you stay tuned later on today I will be bringing you step by step instructions on how to DIY all these pretty props with my new Cricut Maker. 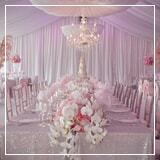 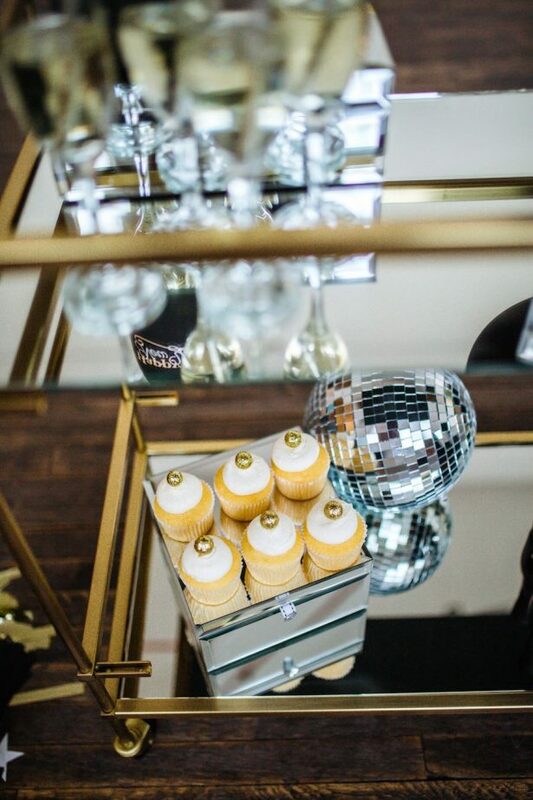 With design by yours truly, champagne bar by MeCupcake and florals by Fiori The Flower Studio, the truth is that this party look came together so beautifully. 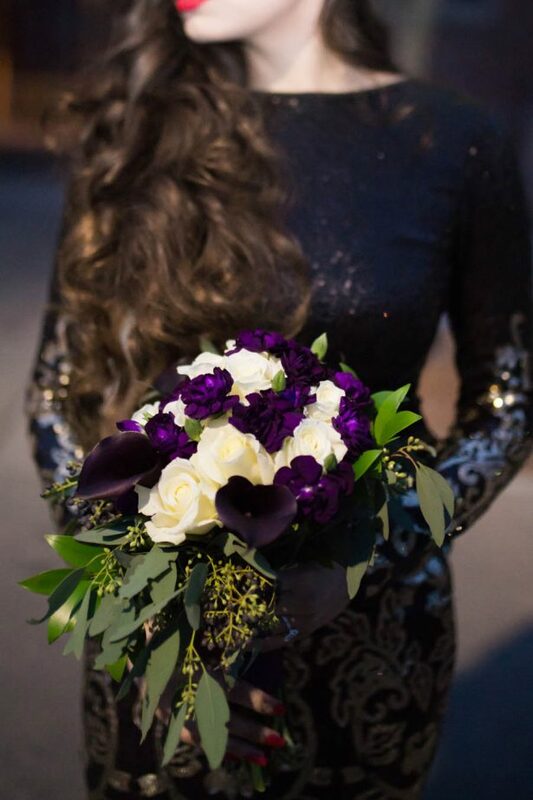 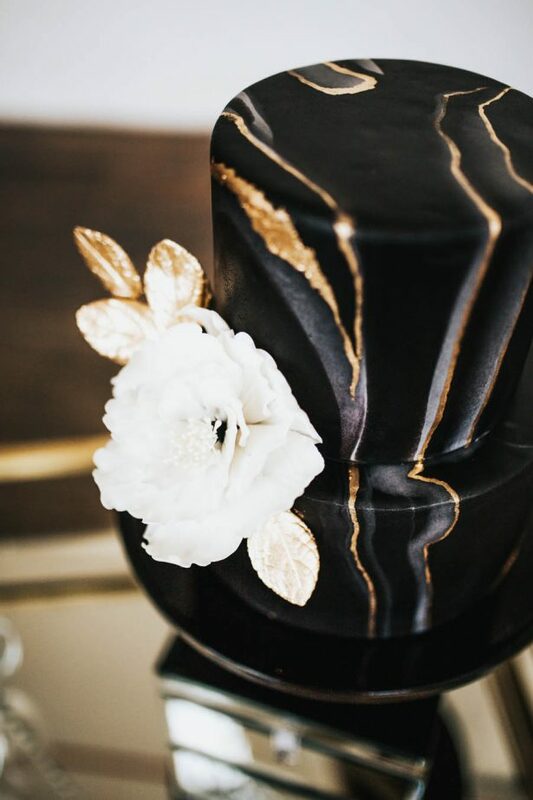 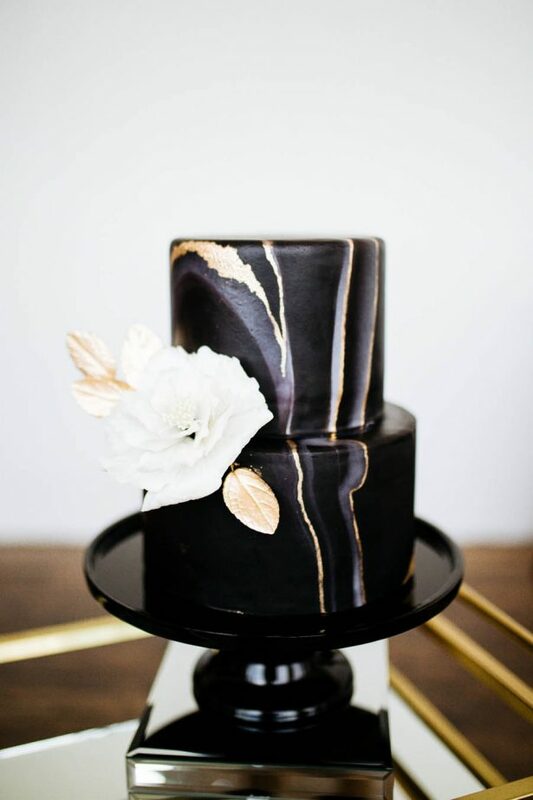 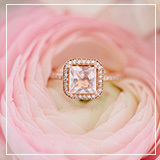 Our photographer, Jessica from Sparrow and Gold did such an amazing job with capturing these stunning details, I hope you love them as much as we do!